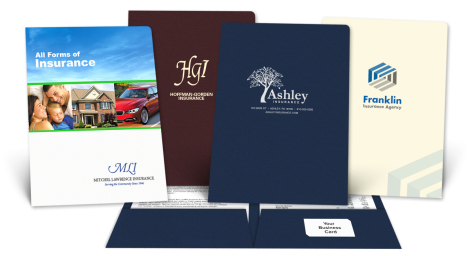 Custom Insurance Presentation Folders will reinforce an image of quality and attention to detail for your agency. 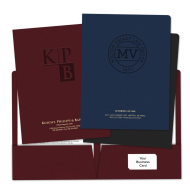 Our custom two-pocket folders are printed in up to full-color, foil-stamped or embossed. 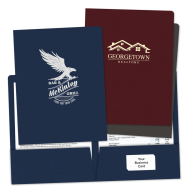 We also have a variety of pre-designed insurance folders ready for your imprint or business card personalization. 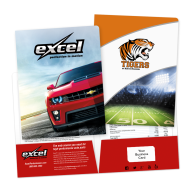 Get your imprinted business folders today and dress your presentations and proposals for success! Your clients will have plenty of documents to keep in order after meeting with you: policy information, brochures, signed paperwork, and more. 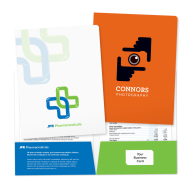 So be sure to give them a personalized folder highlighting your brand and help your clients stay organized while promoting your agency's image. Our custom 2-pocket folders will encourage positive recognition and a professional look for your agency's presentations.